Happy Friday, friends! Today, I'm excited to share the cover reveal for my new book, The Hereafter! I'm excited about it because, well duh, it's my first book. But also, I'm excited about it because I'm pretty fond of the cover designer as well. Fran of FreeBorboleta has beeen a close blog friend for a few years now. She's the creator of the beautiful blog design you are looking at right now. In short, she gets me. So, who else would I ask to design my first novel? And just as before, she took the crazy thoughts and ideas in my head and turned them into something beautiful. Less talking, more showing. Feast your eyes! 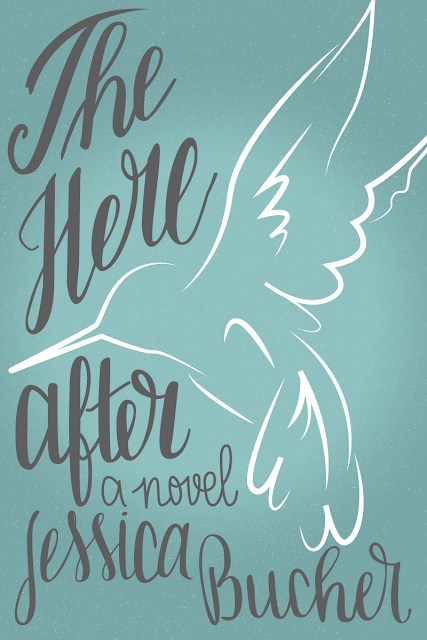 And add The Hereafter to your Bookshelf on Goodreads! And while you're here, sign up for the newsletter! I can't end this post without mentioning some of the amazing bloggers and friends who offered to share in the cover reveal today. Please go send them some love if you have a minute. Do whatever you can to make sure that you find a safe location for your tent and pitch it before you find yourself in this sticky situation. Congratulations for your first book the Hereafter. I like your cover design of book, it’s really pretty. Thanks for sharing here about Fran of FreeBorboleta who is best creator of the designing beautiful blog which are useful information for professional personal statement writers who are providing graduate personal statement help - http://www.personalstatementfolks.co.uk/graduate-personal-statement/ to UK students at Personal Statement Folks where I am currently working. I hope they would also like such a great blog design. Well done! Keep sharing!